The online giant Amazon, which is one of the world's largest retailers, recently capitulated to a demand by the Council on American-Islamic Relations (CAIR) to remove products the terror-tied pressure group deems to be offensive to Muslims. Earlier this month, CAIR called on their supporters to complain to Amazon about doormats and bath mats sold by third-party vendors on the Amazon website that were inscribed with Quranic verses of blessing and greeting. The group said it organized the effort because the Islamic references would be stepped on or otherwise disrespected. Days later, CAIR announced that Amazon had agreed to remove the items. That week, CAIR claimed it had found other offensive items sold on the Amazon website, and asked for those too to be banned. Although they might seem a bit silly, CAIR's bath mat complaints can be viewed as part of a current strategy to exert influence over tech giants and Silicon Valley powerhouses. While Amazon is chiefly known as an online retailer of almost any item imaginable, it is also one of the world's largest tech companies. The bathmat complaint came at exactly the same time CAIR is supporting efforts for Somali workers at an Amazon fulfillment center in Shakopee, Minnesota, to force the company for greater religious accommodations and other demands. According to The New York Times, Amazon recruited heavily from the Somali community and already designated spaces at the center for prayer and ritual washings dictated by the Quran. For one of its meetings with Somali workers, the company even brought in from Texas a Muslim manager "who works on accommodating Islamic practices." Still, CAIR participated in a rally outside the Shakopee Amazon facility on Dec. 14. Rallying Somali workers claimed the pace of work demanded at the facility infringes on their freedom of religion. CAIR-Minnesota's executive director Jaylani Hussein spoke at the rally, saying he had toured the facility and that Amazon's accommodations for Muslim workers were insufficient. 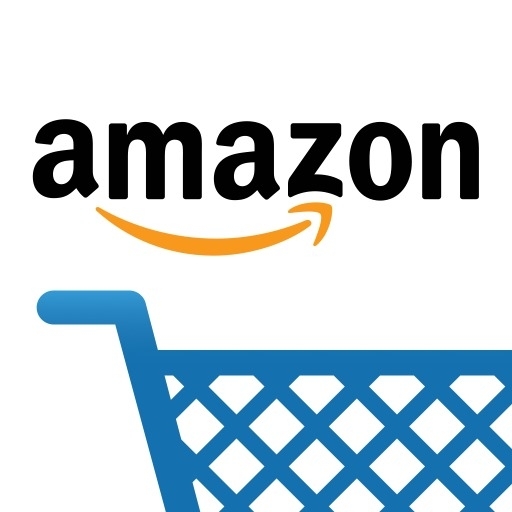 CAIR was previously involved in targeting four Amazon warehouses in the Twin Cities area this past July when Amazon's Prime Day coincided with Ramadan. The demands, to which Amazon management acquiesced, included slower work pace and an extra holiday for Muslim employees to celebrate the Eid festival ending Ramadan. This is hardly the first time that Amazon—and for that matter, other tech giants and major companies—has been targeted by Islamist pressure groups, especially CAIR. In May 2005, a Muslim woman purchased a used Quran from a small bookstore in Pennsylvania through Amazon's website. She claimed that when the book arrived it had "Death to all Muslims" inscribed in black marker on the inside front cover. The woman, Azza Basarudin, was a longtime Islamist activist, but both Amazon and the used bookstore apologized. In 1998, CAIR claimed that a pair of Nike shoes featured calligraphy that they said bore a semblance to the word "Allah" in Arabic script. CAIR called for a boycott of the company's products, which prompted Nike to apologize and recall nearly 40,000 pairs of shoes. Nike also promised to build playgrounds at four Islamic centers. That incident occurred before CAIR's extensive associations with overseas terrorist organizations were well known. Since then, federal prosecutors and law enforcement agencies have publicly noted in court the group's terror ties. In July 2008, the Justice Department filed a brief in the Holy Land Foundation trial, the largest terrorism financing case in American history, identifying CAIR as one of four organizations under the direction of the Palestine Committee established by the international Muslim Brotherhood to provide "media, money, and men" to the Hamas terrorist organization. CAIR was identified as an unindicted co-conspirator in the Holy Land Foundation trial for its role as an active player in the U.S. Muslim Brotherhood's Palestine Committee. During that trial, FBI Special Agent Lara Burns testified in federal court that CAIR was a front group for Hamas. When CAIR and other Islamist groups attempted to have themselves removed from the case as unindicted co-conspirators, Jorge Solis, a federal judge, ruled that the Justice Department had provided "ample evidence" establishing CAIR's association with Hamas and that the trial evidence created a "prima facie case" of CAIR's role in conspiracy to support Hamas. When CAIR attempted to intervene in another federal court case involving the appeal of a convicted terrorist, federal prosecutors reminded the court that "CAIR conspired with other affiliates of the Muslim Brotherhood to support terrorists." For those reasons, among others, the FBI formally cut ties with CAIR following the successful prosecution of the Holy Land Foundation executives. More recently, the United Arab Emirates named CAIR a designated terrorist organization in November 2014. Given its extensive history of terrorist support, it might seem odd that many companies and others targeted by CAIR are quick to capitulate to their pressure campaigns. Yet with many media outlets who regularly downplay or whitewash CAIR's terrorist ties altogether, and the attempted rehabilitation of the group by the Obama administration, it is no surprise that, when faced with CAIR's standard tactics of public accusations of bigotry and smears, companies are quick to fold. Patrick Poole is a national security and terrorism correspondent for PJMedia and a writer for Islamist Watch, a project of the Middle East Forum. Follow him on Twitter.